Something I haven’t really touched on is that MY LIFE IS CRAZY RIGHT NOW. (Wait, I have, haven’t I…?) I don’t know if the Universe is trying to shower me with gifts and opportunities or if the Universe is just sitting back and laughing at me but things are just insane. For example, we are three months away from the wedding which I am planning and Napkin gets a new job which is about an hour away from where we live. It came out of nowhere. The job is great, he loves it so far, but we are going to have to move. Moving suxxxxx anyway, but right now even the thought of moving is exhausting. A job opportunity falls into my lap. One that would have me move away from Napkin for an undisclosed amount of time. Right on top of getting married. …UGH. Things are still being negotiated so I don’t want to go into a lot of detail, but I will, I promise. As you can imagine, the idea of this huge life change is keeping me up all night. Which is why it’s two three in the morning and I’m effing blogging about it. I didn’t realize this was so important?! “A modern take on an old world men’s club. A smooth oriental, Tobacco Vanille opens immediately with opulent essences of tobacco leaf and aromatic spice notes. The heart unfolds with creamy tonka bean, tobacco flower, vanilla and cocoa, and finishes with a dry fruit accord, enriched with sweet wood sap.” ~ From Neiman Marcus. Fancy pantsy, huh? Well, at anywhere between two to five hundred dollars a bottle it had better be. As much as I love the smell, I can’t commit like that… especially with as little as I wear it. So my finding the site The Perfumed Court was a blessing, because I can buy sample sizes to really get a feel for the perfume and whether or not it’s me. One thing I love about the Tom Ford Private Label line is that all of the scents are unisex and mix well with each other. Because of this, I’ve been experimenting. I think, if I’m going to obsess over wedding day perfume, that I’d like to smell like normal– but maybe with a hint of something more feminine and floral? Maybe mix a little of my tried and true Tobacco Vanille with, say, a hint of this? This is Velvet Gardenia. 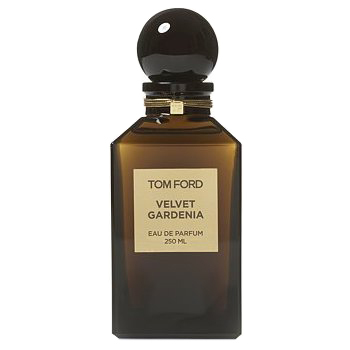 And I don’t know what velvet smells like but they have really nailed the gardenia part of this gem. I ordered a teeny sample from The Perfumed Court (isn’t that name funny?) and alone it screams “I’M A GIRRRRLLLL,” a little too loud. It’s such a specific smell, where I’m used to something a little more layered and complex. And less flowery. However, I put a little dash of this on top of my normal perfume and it was really pretty and slight. It warmed the smell up a little and was… I don’t know… memorable? Bridal? I’m going to try it a few more times and maybe do a little more alchemy with other combinations but so far I like it. I have a pretty solid fear, though. I can’t stand walking by or being close to someone wearing too much perfume or cologne. It doesn’t matter what they’re wearing or how good it is… too much is ALWAYS offensive to me. They SMELL. That’s the only way I know to describe it. I think it’s the reason that I wear so little myself (I’m talking not even one full spray.) I’m terrified of SMELLING. Hinting at smelling? Sure. SMELLING? Terrified. No good. I am scared of walking down the aisle with a cloud of tobacco, vanilla, velvet and gardenia trailing me. And I’m so new to perfume! I don’t know the secrets for making it work the way I want it to! 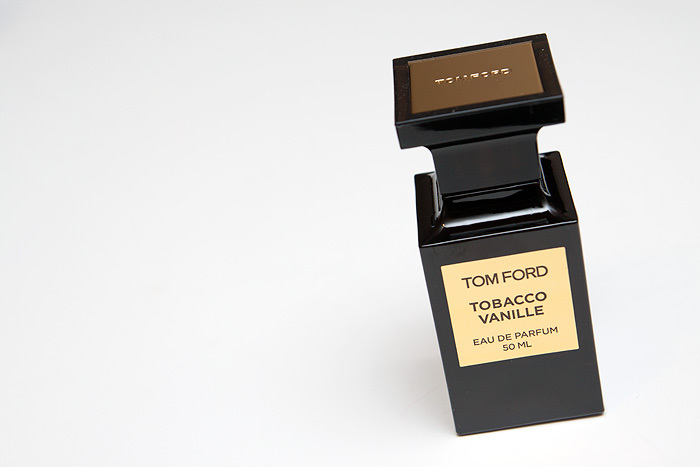 Are you a perfume/cologne wearer? What’s your trick to making how you smell noticeable without being overpowering? Help a girl out so on my wedding day I don’t SMELL. Tags: How to Choose Wedding Day Perfume, Perfume Tricks, Tobacco Vanille, Tom Ford, Velvet Gardenia. Bookmark the permalink. Previous post ← Our Wedding Dessert Bar. Or, Candy!!! We really do! I wish we lived closer! I’ll message you my email address on facebook and we can get an email pen pal type deal goin on, haha :-). And about HPL, I have an appointment to meet with them next Friday – well, I will once she tells me when they are free. She just isn’t as immediate with responses as I tend to be, but that’s ok.
Weird! So Mary Beth finally got back to me today and she gave me Steve’s number and told me to contact him directly tonight, which is fine but really odd to me because she’s the assistant, keeper of the schedule, etc (at least so I thought). Apparently they have a busy day Friday when I want to meet, but I wish her annoyance with me wasn’t so apparent through her emails. A girl needs to know what to budget for! And that knowledge needs to be received a long time in advance! I feel like that’s not that crazy! Oh well. Looking forward to hearing from you!!!! This is so bizarre! I’m writing you right now.